Earlier this year, the Christian Transhumanist Association made its public debut with an open invitation to membership, and a small fundraising campaign that brought in approximately $1200. Now, as our first substantial financial act, the membership advisory council, the donors, and the board have decided to contribute that money towards a project that combines technology, compassion, and respect for human life. 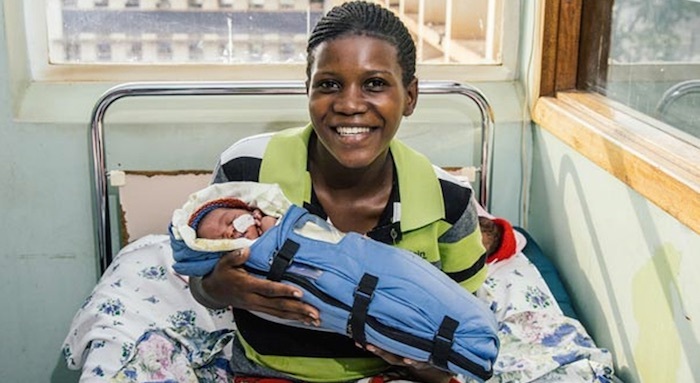 That project is Embrace, and it attempts to address the issue of high infant mortality rates in the developing world, by replacing expensive traditional infant incubators with the Embrace Warmer, an innovative technology which requires no constant electricity, reduces costs, and eliminates most operating requirements, so that it can be used in almost any situation or setting. By addressing the major causes of early infant mortality in an immediate way, this technology has the potential to save large numbers of lives over time. Our particular donation will be applied to a region in Afghanistan, and will help with both supplying the warmers and training the local staff. The Christian Transhumanist Association seeks to encourage Christians to participate with God in the redemption of the world, through the compassionate use of science and technology. As a transhumanist organization, it challenges Christians to embrace a positive and proactive approach towards technology; as a Christian organization, it challenges transhumanists to recognize the role of compassion and respect for all human life as the basis for a thriving and sustainable future. Every organization has financial needs, and ours is no different. However, given our message and identity, it is fitting that our first substantial act be directed towards the outside world, to remind us of our purpose, our direction, and the very reason for our existence. If you would like to contribute towards Embrace, learn more about the region where the donation will be applied, or if you would like to join or find out more about the Christian Transhumanist Association, you can can do so here.